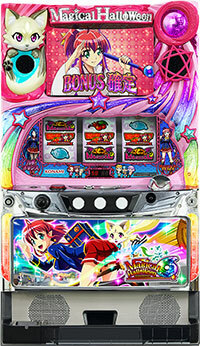 This time, we will be introducing a latest machine of a popular pachislot series of “Evangelion”. Recently, most of the “Evangelion” series were based on the settings from its “Rebuild of Evangelion” series, but this latest machine uses settings from its TV anime series and has redrawn all of the scenes just for this machine. As for its specification, it uses a pachislot machine that was released 10 years ago called “The End of Evangelion” as a base, so that it is quite simple and recommended for pachislot beginners. This machine has already made its debut. 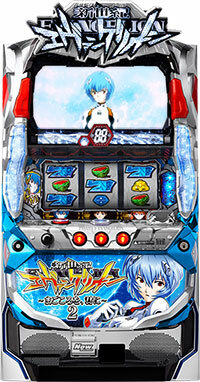 Look for machines with either Rei, Asuka and Kaworu’s image on them. Today, we will be introducing an unusual pachislot machine of “Neon Genesis Evangelion”. 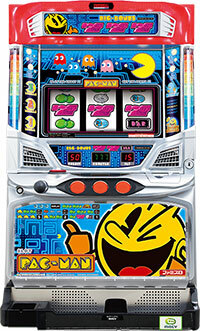 This pachislot machine named “30φ model”, and its type is called “Oki-slot”, a popular type at parlors in Okinawa. 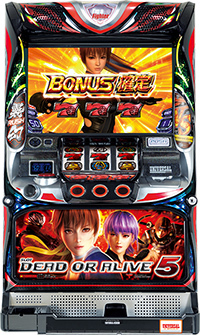 This machine uses a medal that is larger than the regular size, and it notifies players when they win a jackpot that it is quite easy to play. 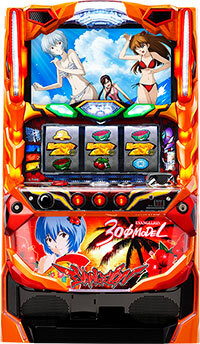 With this new machine, player gets to enjoy the characters of Evangelion larking around in their swimsuits. It has already made its debut to the parlors nationwide! Let’s enjoy the taste of Okinawa!! 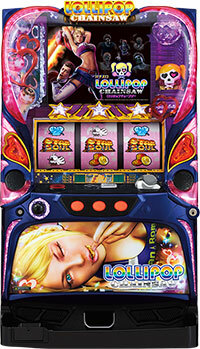 Ultra Seven (Pachislot) by OK.
Today, we will be introducing a pachislot machine of “Ultra Seven”. This is the 4th series of the “Ultra Series”, a monumental work of Japanese tokusatsu science fiction. 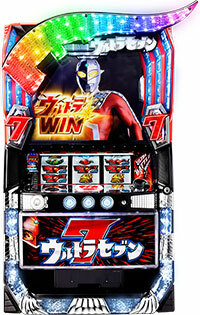 Ultra Seven is one of the most popular works of the series, and as the title suggests, 7 is being used as a keyword for this machine. Player will enter a zone called “Seven Attack” once they defeat the aliens, and if the player can align “7” symbols during this zone, the winnings will be 7 times more than the normal winnings. Look for the “eye slugger” placed on top of the chassis. 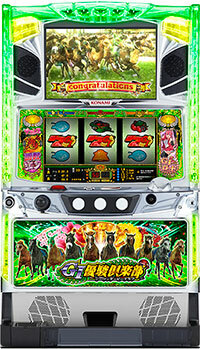 Today, we will be introducing a pachislot machine called “GI Derby Club”, which features the training of racehorses!! Its gaming feature is quite simple that player trains famous racehorses in Japan to win high stake races!! If the players win 10 high stakes races, then they will get a chance to race in a “Prix de L’Arc de Triomphe”, the Group 1 horse race where world’s fastest racehorses race!! And if the racehorse player trained wins this race…!? Also, player should pay attention to is an assistant character called Mako, who has a pink hair. She is a very important character as she will help you train your racehorse!! Pay close attention to her every move!! This machine has already made its debut!! Rush to the parlor now!! Today, we will be introducing a pachislot machine of “GARO”, a highly popular tokusatsu drama series written by Keita Amemiya. 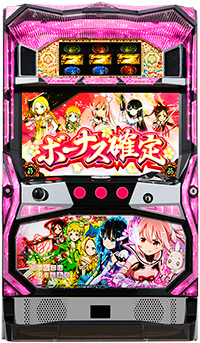 The story of “Makai Knight” hunting monsters hiding in the darkness called “Horrors” is extremely popular among pachinko and pachislot industries!! 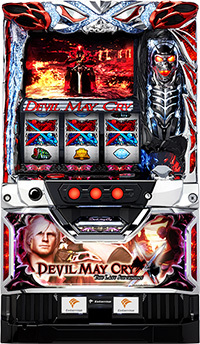 Including a side story, there are 13 pachinko machines of “GARO”!! 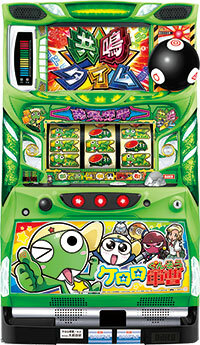 “GARO” is a pachinko machine anyone has played at least once!! 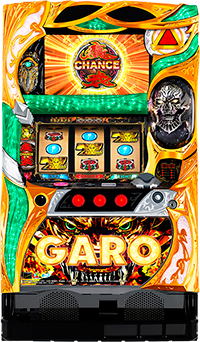 And now, “GARO” is released as a pachislot machine!! 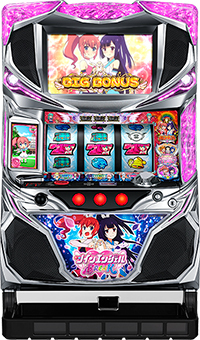 Starting with a gigantic emblem accessory, there are enough renditions and accessories loaded onto this machine that all players of this machine can enjoy!! Let’s defeat horrors with this pachislot machine as well!! 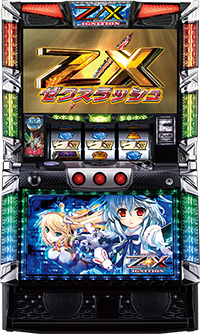 Today, we will be introducing a pachislot machine of “Z/X IGNITION”, originally a TV animation series adapted from a popular “collectible card game” of “Z/X”. 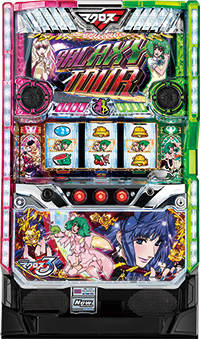 Special features of this pachislot machine are the two battle zones during the jackpot round. One is called “JUDGEMENT PHASE” which uses cards from the collectible card game. 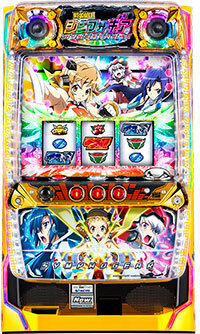 If player defeats the enemy before the cards run out, player will enter another battle zone called “Battle of Godly Dragons” in which characters from TV animation appears. There will be a huge winning if player defeats the godly dragon. Also, casting the same popular voice actors as the original animation is another highlight of this machine. 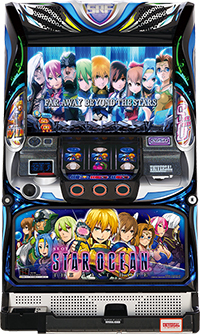 Let’s be prepared for the debut of this machine in March by watching the anime and play its card game. 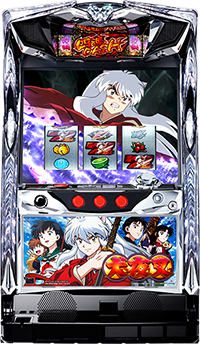 Today, we will be introducing a pachislot machine of “Inuyasha”, a manga written and illustrated by Rumiko Takahashi!! Its original work is highly popular that it has been serialized in a weekly manga magazine called “Shonen Sunday” for 12 years, and it has sold over 40 million copies. 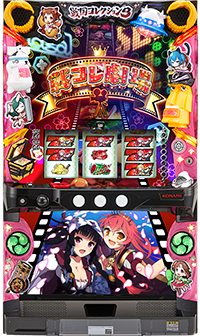 Since this is the first pachislot machine of “Inuyasha”, this machine is loaded with all the episodes to show and maximize the world of “Inuyahsa”. Players get to enjoy an impactful images and renditions like the battle against “Naraku”, the nemesis, on a big monitor!! “Pieces of four souls” holds the key to victory. Also, it might be a chance if one side of the reel lines up!! It is expected to make its debut on December 19th!! Let’s all wait for Rodeo, the pachislot maker, to create a exciting machine! !